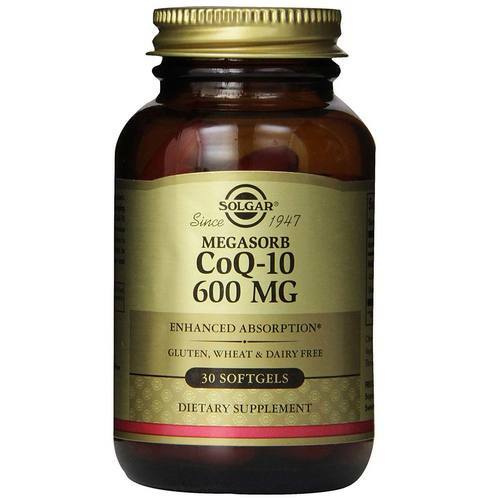 Coenzyme Q10 is a vitamin-like compound called ubiquinone. 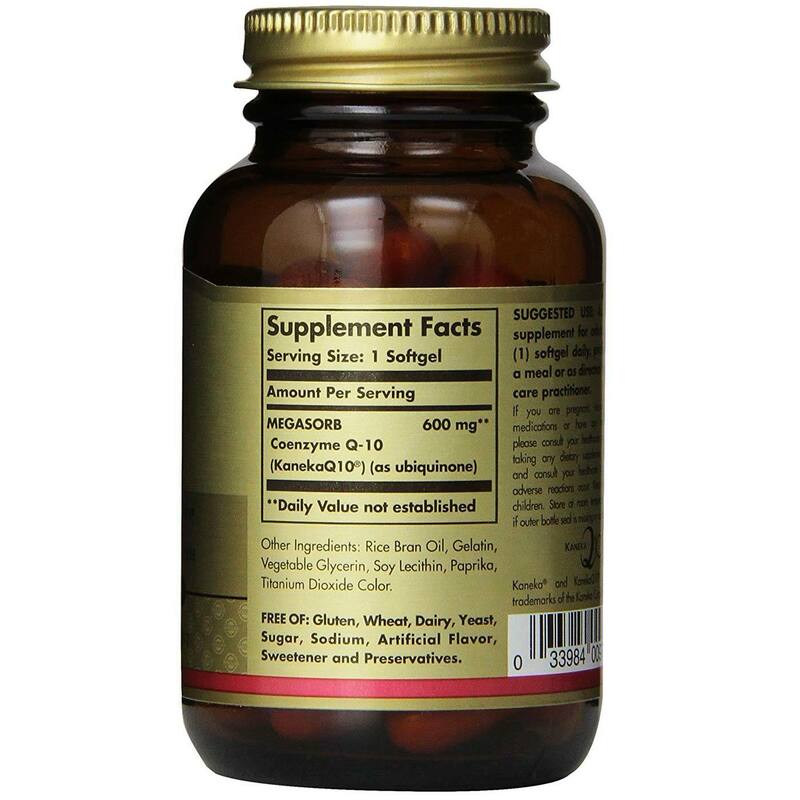 It is an essential component of cells and is utilized by the mitochondria in the normal process of energy production. CoQ10 is constantly being reduced and oxidized as an energy carrier. In its reduced form, CoQ10 is rich in electrons and functions as a potent antioxidant. Our Coenzyme Q10 is produced exclusively in Japan through a natural fermentation process. Notes: Solgar's Coenzyme Q-10 600 mg Softgels are free of sugar, salt, corn, yeast, wheat, gluten and dairy products and are formulated without the use of artificial preservatives or flavors. 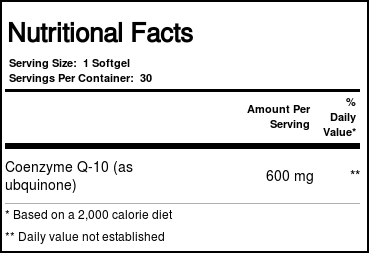 Recommended Use: As a dietary supplement for adults, take one (1) softgel daily, preferably at mealtimes, or as directed by a healthcare practitioner. 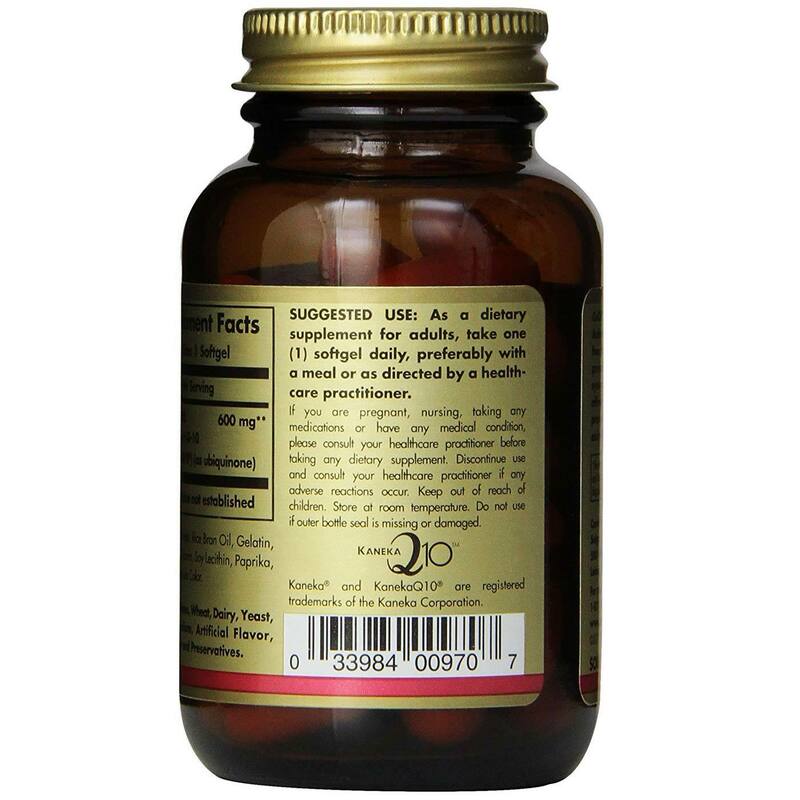 The customer reviews posted below are based on individual consumer experiences and may NOT necessarily represent what expected results will be from using or taking Solgar Coenzyme Q-10 - 600 mg - 30 Softgels. These results may not be typical and you should not necessarily expect to receive the same results. Actual results may vary. This product is exceptional. It is easy to swallow and meets the standards of my prescribing physician! I am very satisfied with this product.